The main purpose of this group is to help all the InterNations members get success in their activities. 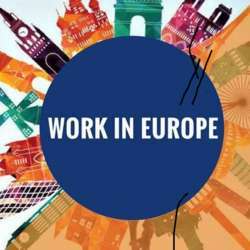 Our friend Brice Bibila will talk Us about the opportunity to Study or Work in Europe. When it comes to the point to talk about working in Europe, there is a lot of stereotypes such as: There is no job offer for Latino people! Or studying in Europe is very expensive! One of the main reasons a lot of foreign Latin-American people are struggling in Europe is because they are not prepared to face cultural differences in Europe. For instance, a German resume is different than Mexican curriculum. Or you can’t choose a university in Europe the same way you do in Colombia or Brazil!